Football Manager 2016 Wonderkids & Promising Talents To Watch? With the summer and pre-season behind us, many young players’ future footballing career has been decided these days. For some promising talents a new contract extension has shown them if the club have faith in them or not, while other new football wonderkids and hot prospects might be swooped up by bigger clubs, like in the case of the transfer of Nathan to Chelsea. For those Under-16 talents who have impressed in the prior season, the best ones have been promoted to the next level before the new European football season starts giving all the passionate Football Manager fans new Football Manager 2016 wonderkids to spot. Since the release of Football Manager 2015 we have been acquainted with some wonderkids who can impact international football for the years to come. Whom have not got in love with the versatility and talent of the new Norwegian wonderkid Kristoffer Ajer, discovered the world class potential of Paraguayan Sergio Díaz, the potential target man Ezequiel Ponce or bought one of the regular Football Manager wonderkids of the last years (at least the last two…) in the likes of Memphis Depay or Daniele Rugani. Other FM16 Youth Talents to Watch? With only weeks or even days ahead for the first news about the Football Manager 2016 release might arrive, I feel it’s time to look at the potential new Football Manager 2016 wonderkids and emerging talents that might be featured in FM16. Some of these wonderful prospects is deemed of a lightning footballing career. Despite their young age some of these might have been called up to the first teams training camp and pre-season preparations a head of 2015-2016 season. What they have all in common for my post about the potential Football Manager 2016 wonderkids to watch is that they were too young to be featured in the official FM15 database and will be a completely new acquaintance for (some of) you in FM16. By writing this article, we’re looking to raise these questions; Will these young talents be in the Football Manager 2016 database, and secondly will they have the potential to become a new wonderkids of Football Manager 2016? In this article we will hand you the best emerging talents and next wonderkids of the future. Some of them will make their remark already this season, while some may need more time developing at the Under-21 or junior levels. Even though it’s impossible for us to predict their future (if they can avoid injuries and be able to settle down in the clubs working environment), we hope this will be an joyful read about the new Football Manager youth talents to watch for 2015-2016 season. Until the time of Football Manager 2016 release we will enhance this post with potential new FM16 wonderkids and emerging talents every week! My aim is to make you discover the future world class players “before” everyone else! Hopefully you will discover some new talents you’ve never heard of and perhaps get one step closer to finding the next Martin Ødegaard, Ruben Neves, Jesús Vallejo, José Gaya and/or Vaclav Cerny; the one everybody was looking to buy in FM15?! Despite we give you our predictions of potential ability in Football Manager 2016, it may be a half star difference to what we believes will be their PA level, so don’t get too focused on the stars we’ve given them. With Wout Faes, Alper Ademoglu, Aaron Leya Iseka and finally Youri Tielemans, Anderlecht may be one of the more interesting clubs to manage in Football Manager 2016 if you like to set focus on youth development. 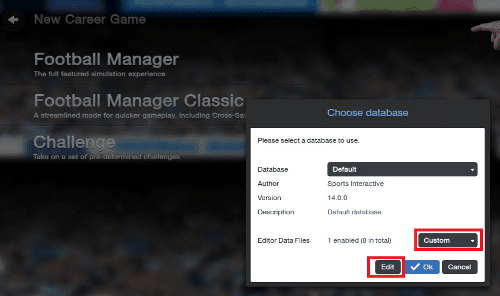 Mile Svilar might not be a new acquaintance for you, but will finally be part of the official Football Manager database with the release of FM16. Mile Svilar is the son of former Yugoslav national goalkeeper Ratko Svilar, who played for Antwerp from 1980 to 1996 in additional to coach the club at several occasions. Mile Svilar came to our attention prior to the release of FM15 impressing with his maturity and calmness in the UEFA Youth League with Anderlecht, playing all competitive matches throughout the tournament at a tender age of 15 – 9 conceded in 9 appearances. Playing against opponents who were up to 4 years older he lead the Belgium pride to the semi-final, before eventually loosing for Shakhtar Donetsk. On the road to the semi-final they beat former tournament winners FC Barcelona in the round of 16. 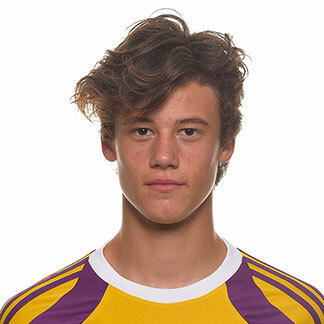 In the season prior to 2014-2015, Mile Svilar was awarded the best goalkeeper trophy at the ABN AMRO Future Cup 2014, which Anderlecht led by Wout Faes won, and the Under 19 PSV Otten Cup and the Copa del Agatha. Labelled at the next Thibaut Courtois, Mile Svilar is definitely one to watch in 2015-2016 season as bigger clubs are all keeping track of his progress. Mile Svilar can be described as an highly promising goalkeeper talent with great reflexes and handling according to his young age. You better learn his name and write his name into your Football Manager 2016 wonderkids list as soon as possible! Born in Évreux, some 100km on the outskirt of Paris, the French International Under-17 starlet Dayot Upamecano could be one immense talent to watch for the future. The 185cm tall central defender voiced our attention in the UEFA Under-17 Championship May 2015, where he was a major part to France’s second UEFA European Under-17 Championship title – following in the footsteps of Samir Nasri, Hatem Ben Arfa and Karim Benzema who won in 2003-2004. In 6 matches of the Euro Under-17 tournament phase France only conceded 2 goals – one in the semi finals against Belgium, the other in the final against Germany. Dayot Upamecano were amongst 5 other French players who were named in the Tournament Best XI of the Euro Under-17 Championship. The French wonderkid was targeted by Manchester United, Manchester City and Arsenal amongst others throughout the first quarter of 2015, but surprisingly rejected a contract offer from Man Utd at around £650,000 fee before joining Red Bull Salzburg this summer according to TalkSport. Dayot Upamecano is yet to debut for Red Bull Salzburg, but has been loaned out to FC Liefering, an affiliate club of Red Bull Salzburg, where he has recorded 9 caps in the Eerste Liga. He featured on the bench for the Champions League Qualifying round 3 against Malmø FF. The former Ligue 2 Valenciennes FC defender, Dayotchanculle Upamecano, which is his full name, can be compared to Samuel Umtiti because of his great physic and natural fitness; his strength and quickness. While he may have some development to do in regard to his positioning and decisions, but his determination, anticipation and marking to win one on one battles makes him a powerful player to come up against in one on one situations. Dayot Upamecano was also voted best defender of the 2014 Aegean Cup where France Under-16 finished third. The 16 year old defender is currently part of the French International Under-17 squad which became automatically qualified for the FIFA U-17 World Cup 2015 in Chile, which starts October the 17th and will surely be one of the most promising Football Manager 2016 talents with excellent potential. With the appointment of Andries Jonker as the head of the Academy one year ago, there have been a revamp on the clubs philosophy in swooping up promising youth prospects. Since then, Arsenal have been very active scouting in the transfer market succeeding to secure potential football wonderkids such as Polish teenage starlet Krystian Bielik, Romanian wonderkid Vlad Dragomir, the two French talents bought from Lens; Jeff Reine-Adelaide and Yassin Fortune, young Portuguese goalkeeper Joao Virginia from the Benfica Academy, in additional to the newest arrival in French midfielder talent Ismael Bennacer and the Dutch talent Donyell Malen, whom I will put focus on here. Donyell Malen (19.01.1999) agreed terms with Arsenal 29th of July 2015 and is a promising center forward with the ability to play as a winger. The promising Dutch talent was part of Holland Under-17 squad for the UEFA European U17 tournament of May where he recorded 2 appearances. He has recorded 9 caps for Holland Under-17 in 2015 playing both as left winger, attacking midfielder as well as a striker. Donyell is a great talent. It is extremely unfortunate that he is leaving Ajax. We have made him an excellent offer and presented a clear development plan but the player has still made another choice, which is disappointing. The potential is clear and the opportunities will come with Ajax. We are continuing with the guys who do believe in it. Donyell Malen can be described as a versatile forward, who may have some similarities with the playing style of ex-Gunners legend Thierry Henry. The Ajax scholar looks like an highly technical forward packed with quickness and flair. He has proved to be a profilic striker in additional to have an eye for the pass – creating key passes and assists for his fellow teammates in additional to score goals out of nothing and from almost everywhere in the final third. What strikes me is his excellent vision and his composure in or around the penalty box. Not only is he a fairly good target at attacking set-pieces but his ability to both place shots in the corner of the net and take advantage of powerful long shots makes him into lethal striker. As the footages shows he is able to beat his opposing marker by dribbling and acceleration, agility and flair. His outstanding ability to come out victorious when space is tight by using awesome tricks and wonderful ball control is the pure definition of football as a form of art! Like all Ajax Academy players he has outstanding technique and ball control and may prove to be hard to win possession from without using physical strength and tackling to get him out of balance. Donyell Malen is a wonderful player to watch and amazes with his trickery and calmness with the ball in additional to his intelligent decision-making. He makes football seem easy – something that makes me compare him to the current world class player Neymar – and is definitely one to watch for FM16. West Bromwich Albion’s is one of the clubs who have succeeded with their youth development program in recent years with the nurturing of Yan Dhanda, Jerome Sinclair (both Liverpool) and Izzy Brown (Chelsea), who are all likely to be some great FM16 wonderkids, in additional to Saido Berahino and Adil Nabi who might make a big impact on Premier League 2015-2016. Ahead of the 2015-2016 season there are two Albion youth which has caught my eye. First up is Tyler Roberts, a 16 year old pacy striker with lots of potential. Born 12 January 1999 in Gloucester (England) he has impressed for the West Brom Under-21 in the U21 Premier League recording 13 appearances scoring 3 goals and providing 1 assist. The English born striker with Welsh decent chose the national team of Wales. The now regular Wales Under-17 starter recorded 2 appearances scoring 2 goals in the UEFA Under-17 Championship elite round held in March 2015. His progress and great performances in the final half of the 2015-2016 season culminated in two of the ‘best’ highlights of his young football career… at least so far. First, Tony Pulis and his team showed faith in youth and what lays ahead for the Albion youth for 2015-2016 season in the last consecutive Premier League match against Arsenal, as Tyler Roberts was called up to the first team. Despite he didn’t receive his first team debut, the forward got a taste of the atmosphere and pressure surrounding a Premier League match by featuring on the bench. He was also part of the training group ahead of the Manchester United clash in the round previous round. Secondly Tyler Roberts was called up to train with the Welsh national team alongside Gareth Bale and under Chris Colemans guidance prior to the important Euro 2016 qualifier match against Belgium 12th of June 2015. Another highly promising Albion youth who also traveled with the squad facing Arsenal in May 2015 is Jonathan Leko. Jonathan Leko can be described as a pacy winger with great physic. The Congolese youth talent came to England as a refugee at the age of 8 and could follow in the footsteps of Cedric Makiadi, who also made a professional football career in Europe after moving from Kinsasa. Despite being only 15 years old for the main part of the 2014-2015 season, Jonathan Leko recorded 15 appearances for the West Brom Under-21 team recording 2 assists. Born in Kinshasa 24th of April 1999, the now 16 year old agile winger can form a lethal partnership with Tyler Roberts in the next years as both are packed with acceleration and quickness, a directness and an eye for the goal by being able to take on their opposing markers with quickness and intelligent movements which opens up space for others. Both Jonathan Leko and Tyler Roberts have been wanted by the big four in England throughout the last year with the main interest coming from Liverpool and Tottenham according to the Birmingham Mail. For the past decade, the Ajax youth academy have produced players like Toby Alderweireld, Daley Blind, Thomas Vermaelen, Jan Vertonghen, Gregory van der Wiel, who have excelled their professional career by playing for some of the best clubs in the world. For FM14 and FM15 we got acquainted to Riechedly Bazoer and Jairo Riedewald. Now we like to introduce the next promising talent from the De Toekomst, who can be described as in the same mould as formerly mentioned players – a centre back with high level of versatility. Matthijs de Ligt can be described as a tall center back who have the ability to play as both center back, defensive midfielder and a central midfielder. The currently 15 year old defender (born 12th of August 1999) is currently part of the AFC Ajax A2 selection (The under-17 squad of Ajax) and were recently handed his national Under-17 debut against Georgia in March, before he was called up to the Dutch Under-17 national squad for the Euro Under-17 Championship held in May 2015, where he recorded 2 appearances. Matthijs de Ligt was honored with the best player award of the ABN AMRO Future Cup 2015 – a tournament where Ajax lost on penalties to Anderlecht. The best player award of the Future Cup has been earlier given to wonderkids like Abdelhak Nouri (2014), Naabil Jaabi (2013) as well as international stars like Davy Klaassen and Dennis Praet. Matthijs de Ligt is one of the most promising football talents in Holland at the moment and is touted to be the next Jan Vertonghen due to the similarity in skills and playing style. What caught my interest with him was his formerly mentioned versatility but also his technical abilities in terms of passing and the range of his passes which unlocks any opponents block – quite similar to a deep lying playmaker. As the footage’s below shows he could be one promising half back in Football Manager 2016 due to his vision and defensive capabilities. Perhaps the tall and physical strong center back will be converted to a defensive midfielder by the time he is ready to debut for the first team of Ajax. What is certain is that he is definitely one to watch in Football Manager 2016 and the 2015-2016 season we have a head of us. Since the early days of the history of football, Italy has produced some of the best goalkeepers in the history. Here we can briefly mention Walter Zenga, Gianluca Pagliuca and Sebastiano Rossi. One who can take up the heritage of the Italian legend goalkeeper Gianluigi Buffon is the 196 centimeter tall Gianluigi Donnarumma. Gianluigi Donnarumma was born 25th of February 1999 in Castellammare di Stabia, 30km south of Naples. Donnarumma can be described as one of the biggest under-18 goalkeeper talents of the world at the moment and is destined for a great career in the i Rossoneri shirt. The Italian wonderkid have been tracked by Real Madrid, Man Utd, Chelsea and PSG, but eventually signed a professional contract which lasts until 2018 with A.C. Milan in March – something that proves the clubs desire to keep him and what they see in him. Last season Gianluigi Donnarumma was part of the AC Milan primavera squad receiving 9 appearances conceding 11 goals according to transfermarkt. Before the 2015-2016 season, Gianluigi Donnarumma is training with the first team and has been part of the AC Milan pre-season camp featuring in the International Champions Cup tournament in China. There he got the chance to show off his incredible reflexes and handling against Real Madrid. By recording 10 appearances for the Italy Under-17 national team, he has proved to be a goalkeeper of exceptional abilities at such a young age. Standing at 196cm he has a great reach coupled with quick reflexes and great vision to know when it’s required to rush out or stand ground. His determination and bravery in one on one situations have proved to be decisive for his great shot stopping abilities. Not only has he a great positioning and anticipation, but he has also great handling – making him a trusty goalkeeper. Together with Hachim Matsour, Gianluigi Donnarumma may prove to be the future of A.C. Milans road to international glory. There is no doubt in my mind that we will see a lot of Gianluigi Donnarumma at the world stage in the future. The question is when… hopefully sooner rather than later. With an height of 195cm, the new Italian Wonderkid immediately catches your attention. Touted to be the new Zlatan Ibrahimovic – not only because of his height, physic and natural fitness, but also because of his impressing skills – Gianluca Scamacca is definitely one to watch for 2015-2016 season. Gianluca Scamacca, who is born in Rome 1st of January 1999 is a former AS Roma Academy youth. The star of the AS Roma academy made an unexpected step in his career when he left Italy for Holland in January 2015, despite clubs like Arsenal, Liverpool and Benfica all wanted him. Gianluca Scamacca’s playing style and skills draws similarities to Zlatan. He can be described as a deep lying forward / false nine – one who drops deep to receive the ball, holds it up before either using his quickness and speed to force his way through the defensive block or play others in by a one-two. Despite being nearly 2 meters tall he possesses great ball control and technique. Similar to Lionel Messi he has the capability to score from all over the pitch, either it’s long shots, using his head, flick ons inside the box or placed shots within the 18 yard box. He often tries first time shots to surprise the goalkeeper either trying on an impressive volley or a quick shot with the tip of his foot. In additional to great level of finishing he possesses the ability to take free kicks and penalty kicks. The current Italy Under-17 forward, who have recorded 15 appearances, 3 goals and 1 assist the last year, has impressed me with his powerful shots and determination to get the ball back into the net. He is excellent in the art of positioning and is a constant treat and worry for the opposing markers due to his intelligent movement between the lines. Couple that with the tendency to run with the ball from deep and you have the perfect false nine in Football Manager 2016. The current PSV Under-17 forward can make his Eredevisie debut already this season if he continues to impress in the academy with his powerful shots, his playmaking abilities and finishing. As a mix of Lionel Messi, Francesco Totti and Zlatan Ibrahimovic, Gianluca Scamacca is a name to remember for FM16! A database megapack of the most promising talents and new emerging wonderkids not included in the official Football Manager 2015 database. Features 170+ Under-17 Potential FM16 wonderkids and Talents. See full list in this pdf file. Start a new save and click “edit” custom files. Pick the editor file “Passion4FM FM15 Youth Database” and click load. Which new exciting football talents of 2015-2016 will you look to buy for your first Football Manager 2016 save?